The dress is exactly what I wanted. The details on the bodice is shining and delicate. The dressis flowing nicely and it feels very comfortable. Love the dress! Love this site! Well made items for a reasonable price! Great customer service!! Great experience and I love ordering from this site i recommend shopping on this site to all my close friends?? The dress is gorgeous!!! Just as shown on the pictures. At first I was a little concerned because the dress did come in a small pressed bag. Very satisfied with my purchase and distributor, I highly recommend to order from MillyBridal. 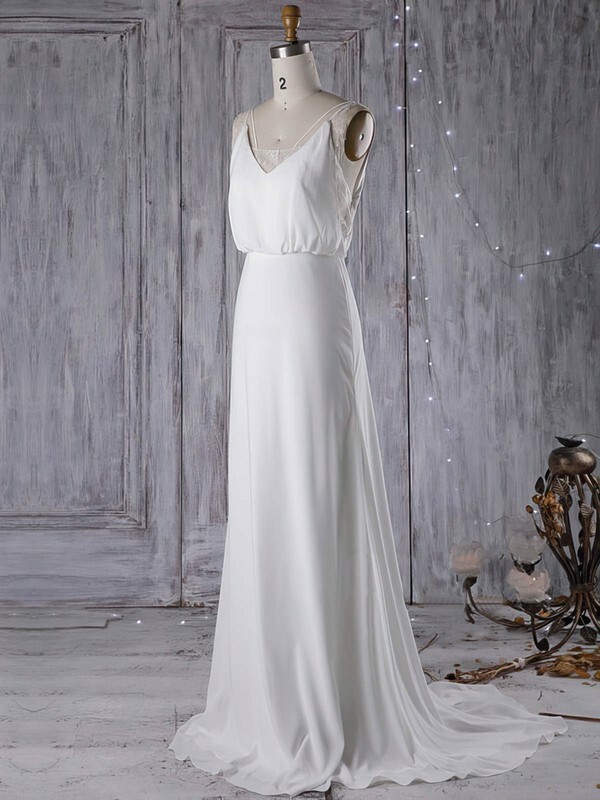 Absolutely love my wedding dress, thank you so much MillyBridal. I will try to post a photo with it on! It fits beautifully, just needs one minor adjustment and the scooped back is not as low as I wanted it, but every time I try it on I love it even more! Beautifully made and even prettier than the picture. So looking forward to wearing it! I ordered this dress with courage. And thank god it's good fit. Also, it arrived a little slow. But nothing that was horribly noticeable. The dress is beautiful. Overall, I was happy with my purchase. thanks. Easy to shop, lots of great items with free shipping! Plus you can check how the dress fit to other people which helps on making the decision if you want to buy something or not. For me, the dress is perfect. It fits me well and it looks gorgeous on me. And the dressis beautifully flowing. The price for the high quality dress is really great. Recommend to brides! This dress is simply beautiful. The quality is great, my mother has been a seamstress for over 40 years and even she was impressed by this since it was an online purchase. I chose the custom size and the dress fit me well. Highly recommend this simple yet beautiful dress. Very happy with my purchase. The dress fit perfectly. I ordered a standard size 6 and it was like it had been custom made for me. The ivory colour was perfect, just off white, beautiful. The detail on the dress is very intricate and just as pictured. Today the dress reached to me. 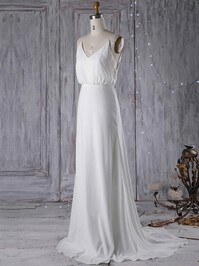 the dress is very beautiful, i am very impressed with the quality of the dress. l love it. thank you Millybridal UK. you really did a good job. Well, this dress with zipper and covered button is very beautiful. if this dress can not be changed in lace up, it's ok. i will still buy this dress considering the beautiful design as the picture shows. I am very thankful and satisfied with the dress. I have got my order in time (even earlier) and the look is just perfect, much nicer than in the photo. Also I would like to mention that all the necessary details are taken into account regarding the non-visible parts of the dress providing with maximum comfort while wearing. Thanks a lot for high quality, premium look and timely delivery!